Realtors generally charge from 5-6% of the home price in commission for selling a home. Where does that money go? All that money paid, and the listing agent hasn’t seen a penny yet. Some of that money may never return if the seller decides to cancel their listing, or the home simply doesn’t sell. This happens A LOT! Routinely, Realtors will spend $1,500 on staging, photography, signage, open house supplies, and more and get NOTHING back if the home doesn’t sell. Okay, boo-hoo… I get it. Why are there so many agents if it is so hard? That’s a story for another day. The point is, a new company, Rex, is literally inundating the radio airwaves, with commercials every 7 minutes telling consumers they can save thousands when they sell their home. The 2% vs. 6% comparison is used. How do they say they can sell a home for just 2%? A big factor, is that they DON’T PAY a BUYERS AGENT. Let’s stop and unpack that for a minute. Managing inspections, appraisals, lenders issues, escrow issues, contingencies, counter-offers, addendums, filings and more. Representing ONLY the buyer’s interests. 1.) It changes the dynamics of someone qualifying for a home. If the home is priced at $500k, and a buyer is qualified up to $500k, what happens when the purchase price has to be raised to $515,000 so that the buyer’s agent gets paid through escrow? No deal. That’s what happens. Lenders don’t love financing commissions. They finance HOMES. To buy a Rex home, a buyer has to rely on a Rex agent negotiating with ANOTHER REX AGENT. That’s basically what we call “dual agency.” This is not advisable! Real estate is like a mini-lawsuit every time. Each side in the transaction must have a fiduciary fighting solely for their interests, not two salaried employees working for the same company. Rex wants to disrupt the real estate industry, citing companies like Uber/Lyft changing the taxi industry, and AirBNB changing the hotel industry. But this is not a trip to the local brewpub, or a night in a hotel. This is the incredibly complex, sometimes aggravating, stressful, scary sale of an asset that’s worth hundreds of thousands of dollars. an asset that may or may not be in pristine condition, to a buyer who may or may not have any business trying to buy it. Is this best left to one company offering cut-rate services to accomplish? How many buyer’s agents are going to show a Rex home knowing they are not going to be paid unless their client forks over $10,000 or more? Not very many. That hurts a seller’s chance of selling. Rex homes are not placed on the MLS service, limiting their exposure to the TRUE searchers of property, the buyers agents. Rex gets listings syndicated to Zillow and Trulia, but that’s not where a professional buyers agent searches for homes. Rex, for some reason isn’t listed on YELP. How convenient. For them. But they ARE listed in the Better Business Bureau with 2 entries, both are negative. Rex claims they are bringing artificial intelligence to the dance. AI is the buzzword of the last few years, and rightfully so. 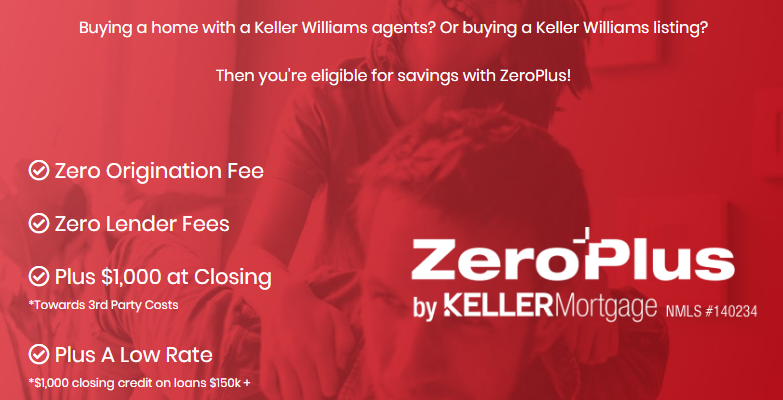 What they left out, is that Keller Williams agents have technology that leaves Rex in the dust. Right now, any KW agent can quote you a price on your home, and your neighbors home, on their Kelle App, soon to be available to the public. KW agents have access to AI that relies on “Home DNA.” That means, for example, we are starting to work with data that shows what homes with dark wood flooring sold for, vs. homes with light wood flooring. Rex claims that they can save you money with their own mortgage service. KW introduced KW Mortgage, which offers a mortgage FREE of closing costs! KW is more than up to the challenge, being the largest brokerage in the WORLD. Rex currently has just 8 homes for sale in Santa Clarita (of the 800 available or in escrow right now.) We welcome your business, and you’ll see the value of working with a full-service agent.